For wedding decorations and event hire services in the Hunter region look no further than our directory. After deciding on a reception venue, find out what is and isn't included within your package. Will you need to source your own chair covers? Table centerpieces? Printed menu? 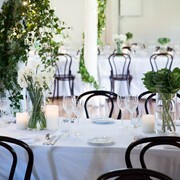 Aside from the decorations you may also need to look into the more practical side of event hire such as tables for an outdoor cocktail party, or chairs for the ceremony. Perhaps you will need to create an outdoor aisle to walk down such as a carpet. Whatever it is you're looking for, let us help you. 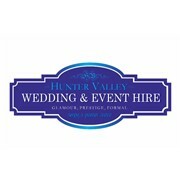 The Hunter Valley Wedding and Event hire team want to make your Special day as affordable as possible. Love and Protect provide stunning flameless candles, and gorgeous candlesticks, candelabras, lanterns and brass boho pieces to weddings throughout NSW. We have styled events for Samantha Wills, Kardashian Kollection, Kate Ceberano, and many weddings and events. If you're looking for gorgeous candlelight, and beautiful rental products, please see our wedding rental packages. Do you need to hire table and chairs for you special occasion? 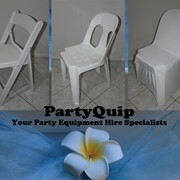 Call Partyquip for a quote. Specialising in outdoor weddings and receptions. 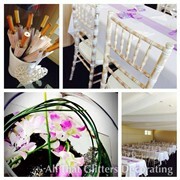 Newcastle and Central Coast wedding and event decorating company, All That Glitters Decorating can provide that exclusive edge to your special event. We like to provide a personalised one on one service and customise an event that suits your own unique personality. The Wedding Designer offers unique and individual consultation on boutique weddings and events. From intricate and custom pieces to venue adornment. We're here for the DIY hands on bride! A lakeside wedding is a romantic setting for a marriage celebration. The ambiance is perfect - cool, laid-back, and refreshing. There is something fresh, unique and romantic about vineyards. Just the right atmosphere for a vintage-themed celebration. Newly engaged but not sure where to begin with wedding plans? We've found choosing a theme first helps with the rest of the planning.